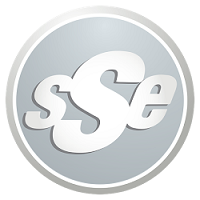 SSE's return to the exclusive Marriot Hotel in Racine was a complete blast! Anchor Fitness closed out another successful "Biggest Loser" session, and we threw a gala befitting all the hard work put forth by the participants. Records were shattered, glasses were raised, and the dance floor was packed for a night of well-deserved celebration. We'll see all of you at the end of the next session, congrats to you all! SSE had a great time celebrating Jacob and Marijo's nuptials in South Milwaukee! Our cozy reception was held at Pat's Oak Manor, and they did a fantastic job playing host to these wonderful families. A literary theme of love was in the air, as guests shared their "words of wisdom" from the bride and groom's favorite authors. Truly a wonderful time with a sweet couple. Congrats to the new Mr. & Mrs. Z!